It’s affecting you more than you realize. The story of light began with a public lamp. In 1318, the first public lamp was hung in Paris. This candlelit lantern illuminated the unknown, expanded our world from the realm of darkness. The advance, once a testament to progress, has come back to haunt us — artificial light profoundly impacts our sleep, and by extension, our lives. Now we’re finding out what blue light does to our stress and our sleep. It’s time to unplug, recharge your sleep, and return to the dark. A 2015 survey showed that 71 percent of Americans sleep with or next to their smartphones. However, falling asleep with your smartphone in hand isn’t merely a tragic testament to our increasingly intimate relationship with technology — the specific light that these gadgets emit, blue light, is especially harmful to our bodies’ ability to perform the natural and necessary processes of falling asleep. The human eye registers a narrow region of light on the electromagnetic spectrum, aptly called “visible light.” According to NASA, within this perceptible range, each color (red, orange, yellow, green, blue, violet) has a corresponding wavelength between 400–700 nanometers. Colors with shorter wavelengths, like blue, have higher energy than colors with longer wavelengths, such as red. With a wavelength around 475 nanometers, blue light has one of the shortest visible wavelengths, and as a result, can be scattered more effectively by atmospheric molecules when compared to colors with higher, lower energy, wavelengths. This is what makes blue light so pervasive: it is literally everywhere, the very reason the sky appears blue to us. During the day blue light has been shown to boost mood, cognition, and focus — however when we bring blue light into our bedrooms in the form of smart phones, computers, and e-readers, we expose ourselves to these short, high energy wavelengths long after our bodies have begun the careful choreography of winding down to sleep. Exposure to light after dark has been shown to negatively affect two essential processes of sleep: our circadian rhythm and melatonin production. Our circadian rhythm is a cycle that functions around a roughly 24 hour schedule, and influences the amount of melatonin — a hormone that helps us sleep — we produce. While any color light can be damaging after dark, continuing research on blue light reveals it to be especially harmful, suppressing melatonin more effectively than other colors. A study at Harvard found that, versus green light, blue light altered circadian rhythms “by twice as much.” Dr. Dan Siegel, a clinical professor of psychiatry at UCLA School of Medicine puts it this way: blue light sends mixed messages to our brains, saying “Stay awake” and “Don’t secrete melatonin, it’s not time to sleep.” Ongoing research at Harvard suggests blue light may be linked to certain types of cancers, diseases, diabetes, and obesity. Effective strategies are still being researched, however technology such as f.lux adjusts screens throughout the day in tandem with your timezone, so as the day progresses your screen becomes increasingly orange in hue. Blue-light blocking glasses, or orange hued glasses, are also being considered as potentially viable protection to blue light exposure. 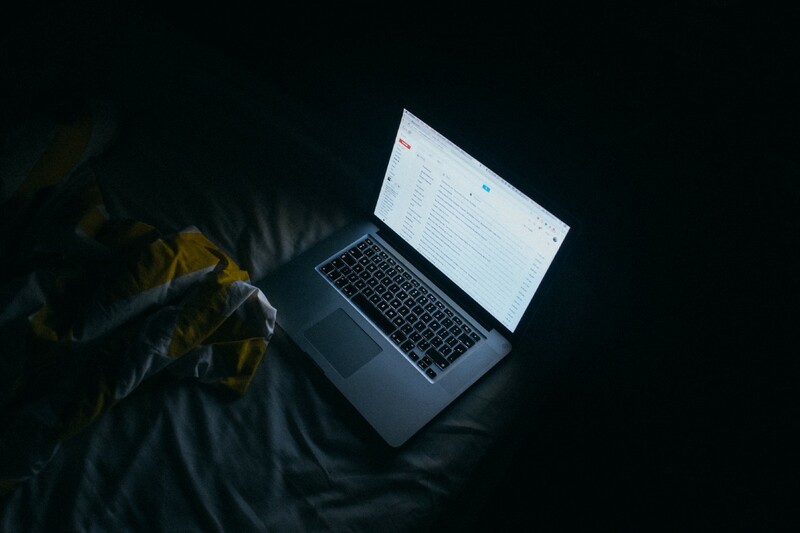 Of course, one way to reduce blue light exposure after dark is to limit our use of technology 30 minutes before bed — say goodnight to your screens: your body will thank you for it.